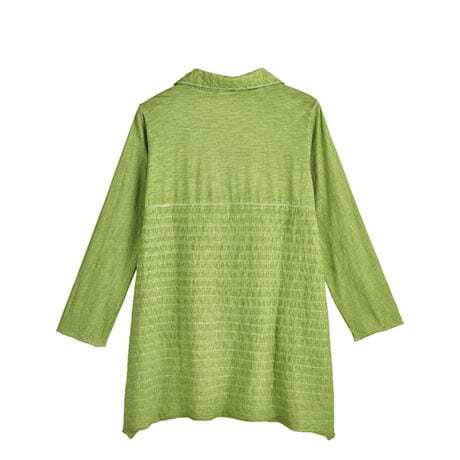 Lines define a celery-green tunic in slub cotton jersey. 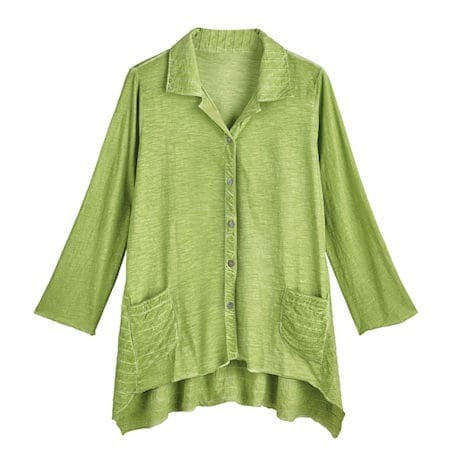 Pin tucks on the collar, pockets, sides, and back add style and texture. 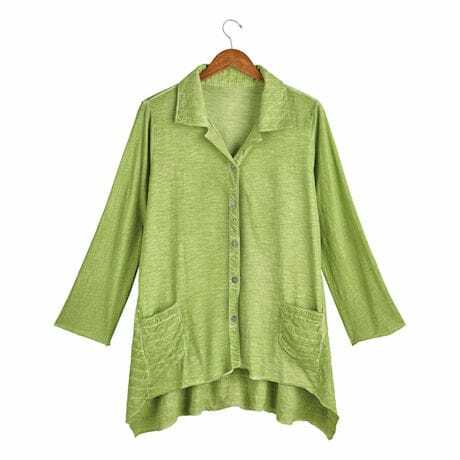 Notched collar, full button front with metal buttons, long sleeves, flared fit. Sizes S(6-8), M(10-12), L(14-16), XL(18), 1X(16-18), 2X(20-22), 3X(24-26). Size M hangs 31". Hand wash. Imported.